Riturnella is a celebration of the italian folk tradition. it was produced and engineered by Belfast Poet and songwriter Andy White at The Growlery, with Kavisha playing her little spanish nylon string guitar in the classic folk style .the music is authentic,and unnadorned... Kavisha is also playing mandolin, gnnachere (neopolitan castenets) and singing harmonies. Kavisha says "These heartbreakingly beautiful songs are little gems in the Italian folk treasury.I have always wanted to do this album.It's the culmination of 30 years of study of these amazing songs. "I also want to make a homage to the great Neopolitan folk singer and song collector Roberto Murolo. The songs range historically from the 1400s-1900s are mostly songs of love, longing and betrayal from the south of Italy .They include the regions of Sicily,Campania Puglia and Calabria with a wonderful funeral lament from Abbruzzi and an antiwar song from Piedmont. 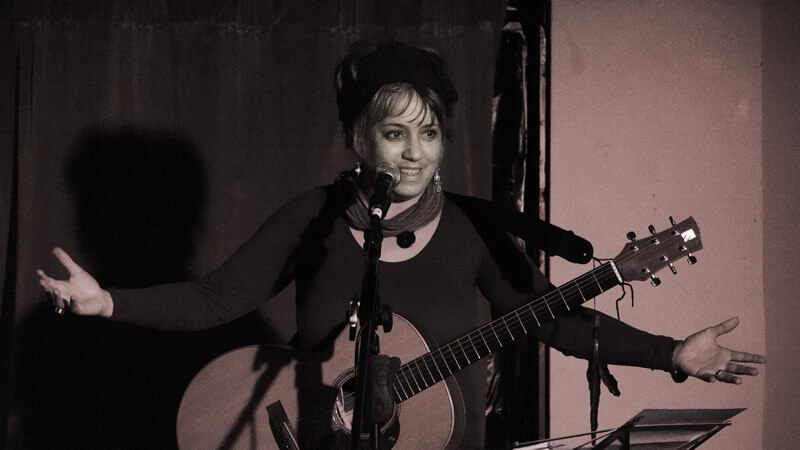 Kavisha was first introduced to the italian folk tradition by sicilian- australian mask maker and theatre maker Gianni Margio and consequently learnt these songs from people she met as well as listening to old cassettes and recordings. Growing up in Australia ,she heard alot of italian music in the family setting but didn't really embrace the music until she was a young adult seeking to understand her heritage .She formed I Papaveri with Antonio Mazzella and Gianni Margio which lead to her meeting an important goup of italian migrant women in Fremantle that would change her life and play a big part in her learning. Through this passion and learning of these old songs ,she founded two significant italian womens community choirs,"The Joys Of the Women" in Fremantle WA in 1989 which was documented in the 1993 award winning documentary film by Franco Di Chiera .In 1993 she left Fremantle for Melbourne and in 1995 founded La Voce Della Luna directing them til 2013. .She was awarded the "Italia nel Mondo "Award in 2000 in recognition of her contribution towards the promotion of italian culture in Australia through forming of the womens choirs. 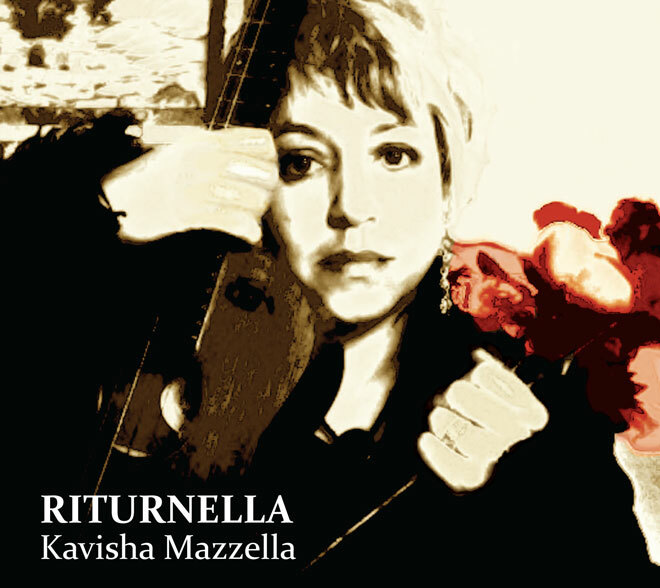 Encouraged by the demand for an italian folk cd by her fans, Kavisha has finally made Riturnella- 13 songs of Love and Betrayal from the 1400s to the 1900s. This intimate album continues in the tradition of the italian cantautori (singersongwriters) who have paid respects to thier roots by going back to the italian folk tradition and recording fresh interpretations.This has been released independantly in March 2014. The cd is available on this site or through Readings Books and Music in Melbourne. "I've really enjoyed listening to your album over the past couple of weeks. It shows the universality of music - you don't have to understand the words to be moved"